Open to artists, musicians, performers, therapists, and everyone interested in opening the doors of perception and of creativity, and through listening deeply. Deep Listening is an inclusive way of listening, dreaming, imagining and creating through connecting, sharing, communicating, participating, giving and receiving. In Deep Listening we Breathe, Listen, Sound and give form to our Dreams. Deep Listening is an inclusive way of listening, dreaming, imagining and creating through connecting, sharing, communicating, participating, giving and receiving. Deep Listening® Aphiliate UK is a space for the teaching and cultivation of Pauline Oliveros' Deep Listening practice. It is run by Deep Listening Certificate holders based in the UK. Inês R. Amado is one of the ‘aphiliates’ with the Center for Deep Listening at Rensselaer and she will be delivering this workshop. Inês Amado, has participated in various DL workshops, including Sweden and in Norway, with Pauline Oliveros, Ione and Heloise Gold. 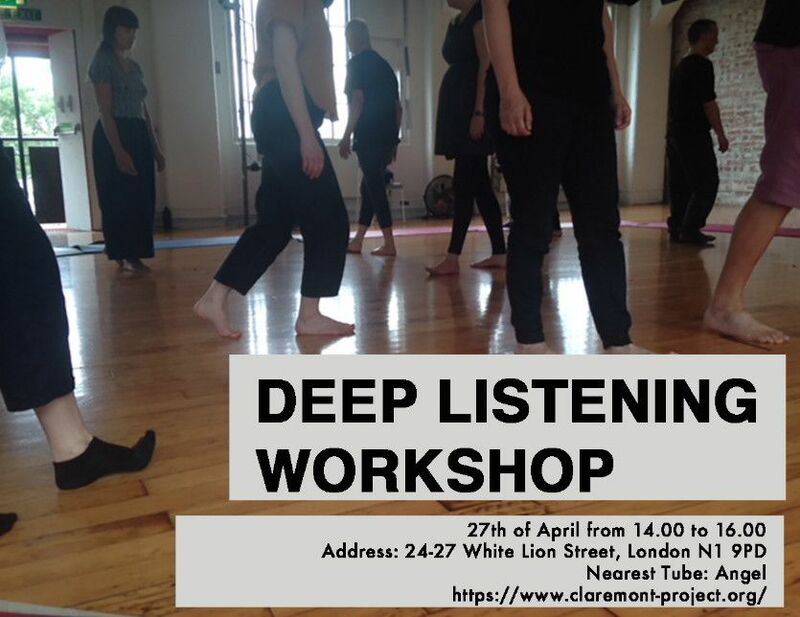 She has also conducted several workshops on Deep Listening, with the Research group from The Serpentine Gallery, at the Chisenhale Gallery and the MK Gallery in Milton Keynes. In our workshops in England we have had participants from different backgrounds and a variety of experience: Live Art/Performance, Free Improvisation, Visual Art, Sound Art, Sound Healing, Psychotherapy, Writing, Poetry and Nutrition. In Deep Listening we Breathe, Listen, Sound and give form to our Dreams.